The 3.2 million-year-old human ancestor ‘Lucy’ was an eager tree-climber, as suggested by a new study. 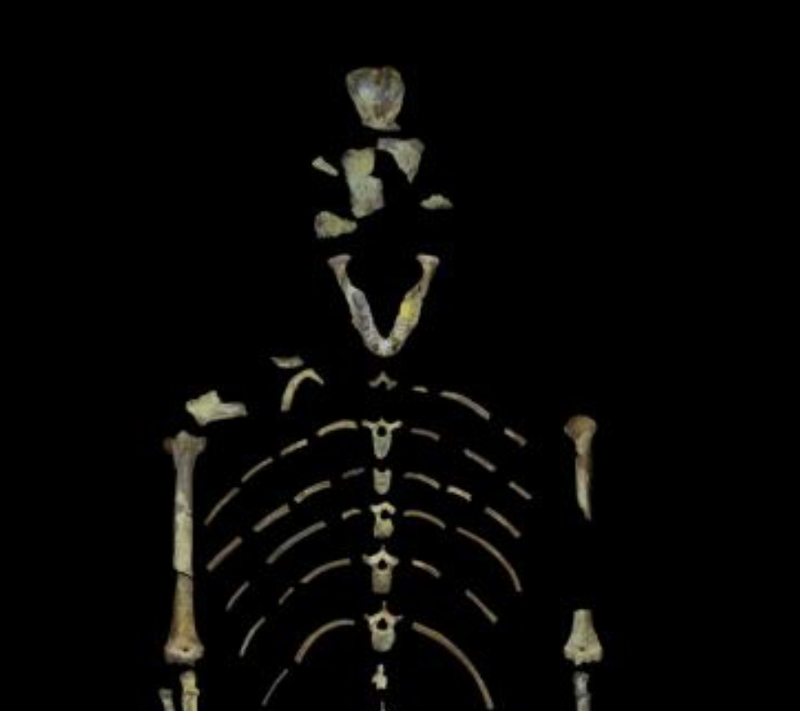 An Australopithecus afarensis, Lucy’s bones were first examined in 2008. Now, researchers at Johns Hopkins University School of Medicine have revealed that Lucy climbed a lot of trees, making her arms more strong and robust than her legs. Coauthor John Kappelman commented that the skeleton responds and evolves according to the loads it sustains during the organism’s life, which translates to a higher bone mass if it sustains higher forces and lesser bone mass if the amount of force is minimal. Image credit: John Kappelman/University of Texas at Austin. To deliver a coherent conclusion, researchers compared Lucy’s remains with a chimpanzee’s and a human’s. Chimpanzees are great tree-climbers, while humans are not nearly as good. The upper limbs of chimpanzees are much stronger compared to their legs, while humans have stronger and thicker legs for walking upright and weaker arms meant for manufacturing tools. The results show that Lucy was between both species, as she displayed limb proportions that were similar to the chimpanzees’ and ours’. 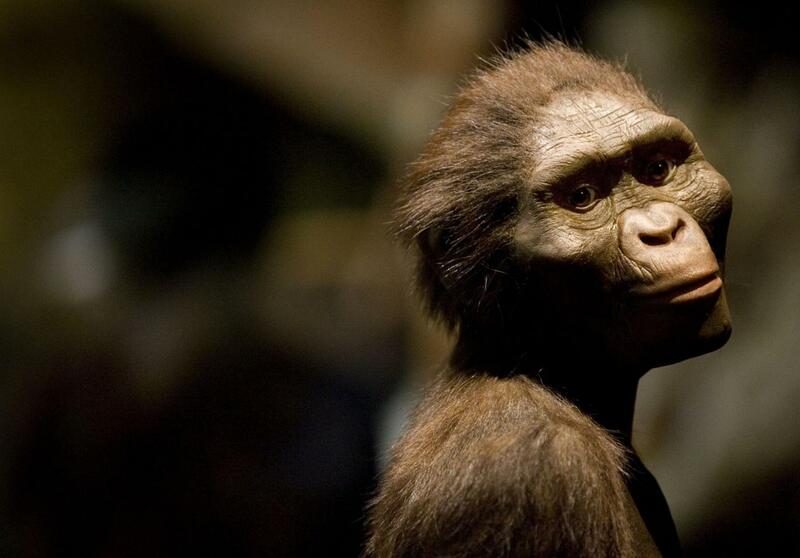 Currently, Lucy resides at the National Museum of Ethiopia, being one of the most ancient and complete fossils of a human ancestor ever found. She was discovered in Ethiopia’s Afar region back in 1974 by anthropologists from Arizona State University. Since its discovery, Lucy has been solicited for performing studies on her bone structure to learn more about the link between humans and apes. Her remains allowed researchers to digitize an image comprised of 35,000 CT snapshots, which detail even the internal structure of her bones. “We were able to undertake this study thanks to the relative completeness of Lucy’s skeleton. Our analysis required well-preserved upper and lower limb bones from the same individual, something very rare in the fossil record,” stated Christopher Ruff, Ph. D., a professor of functional anatomy and evolution at the Johns Hopkins University School of Medicine. Using CT scans of the fossilized skeleton, Lucy’s arms were shown to be quite strong and her feet to be useful for upright walking rather than climbing. There is still no clue as to how much time did Lucy spend on trees, but a parallel study suggests that she died as she fell off a tall tree, which may indicate that she nested in trees at night to avoid being harassed by predators. She has been reported to be an eight-hour sleeper, which would then equate to a one-third of her life spent climbing trees. It was also determined that she weighed less than 65 pounds and was shorter than 4 feet tall. Researchers suggest that the variation of the need for physical effort may have led Lucy’s species to divert more metabolic resources toward developing a larger brain, which may have allowed her successors to understand better ways to keep out of reach from predators, such as migration and herding. Lucy was determined to have lived in the Pliocene, from 5.333 million to 2.58 million years before present times. During that period, temperatures were a 2 to 3 degrees Celsius higher than today, sea level was about 25 meters higher and carbon dioxide levels remained the same. There were a lot of mammals, including camels, deer, horses, rodents, and large mastodons. Elephants thrived on, just like cows and hyenas. It is around this time that large mammal predators, such as the saber-tooth cat, started to disappear. In the late Pliocene, the Australopithecus surfaced. It was the first human ancestor capable of walking on its hind legs, although it could not walk just like we do. Compared to other hominins, its upper limbs were strong, and it showed clear differences between both of its sexual genres. A sculptor’s rendering of Lucy exhibited at the Houston Museum of Natural Science in Texas. Image credit: Dave Einsel/Getty Images. Although it is often viewed as a single species, the truth is that there were many australopithecine species. It is believed that some of them evolved into the Homo genus while in Africa. Lucy is one of the most prominent links, showing a true middle ground between primates and humans. The Homo genus is theorized to be about 2.8 million years old, and its earliest species is the Homo habilis, which comes from one of the Australopithecus species that were alive during Lucy’s time in life. After several branching evolutions, the Homo erectus appeared 2 million years ago in East Africa, where it started to migrate throughout the nearby continents. The Homo erectus learned to hunt and gather food, and eventually managed to control fire. In the anatomical sense, modern humans are only 200,000 years old, as the first specimens are known to have surfaced in Africa, becoming the only surviving species of the Homo genus. The Homo sapiens sapiens migrated from Africa 60,000 years ago, spreading throughout the other continents and interacting with other humans of different races and species, and it has been confirmed through DNA analysis that some Homo sapiens sapiens reproduced themselves with Homo neanderthalensis species, giving birth to new branches in the Homo genus. Lucy’s skeleton is 40 percent complete. Her name comes from the Beatles song “Lucy in the Sky with Diamonds” which was played during the excavation team’s first day on the digging site. Her remains were exposed publicly during a tour in the U.S., and she was later returned to Ethiopia to remain in the museum as one of our earliest ancestors.